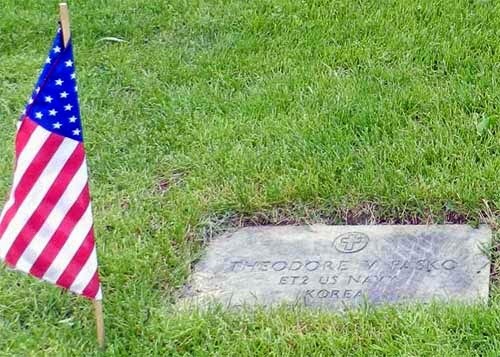 For Memorial Day, we offer this list of nearly 700 veterans buried in Ridgefield cemeteries. The list is a work in progress, and by no means complete. This list represents three years of research, work that is continuing as we make our way through the various town cemeteries. Cemeteries that have been completed include Mapleshade, Fairlawn, Scott’s (also called Ridgefield Cemetery), Titicus (also called Old Town Cemetery), Hurlbutt, and Seymour. St. Mary Cemetery is nearly complete, and work has also been done at Branchville Cemetery (the only cemetery with a military section). The listings are based on information at the gravesite and/or information obtained from obituaries or town histories. Here is the link to the cemetery list, which in turn has links to all the men and women listed. You missed one at St Marys. James E. O'Keefe b. 12/31/1923, d.06/07/1988. Served in the Marine Corps during WWII.